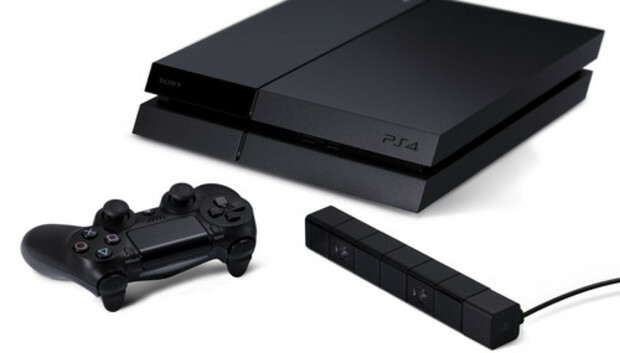 If you've got questions about the PlayStation 4, Sony has answers. The electronics giant recently published an extensive FAQ to the PlayStation blog attempting to answer any final questions before the $400 next-gen console launches on November 15. Interesting tidbits placed front-and-center for PlayStation fans include information about swapping the PS4's hard drive, game caching, media playback, and PS3 peripheral compatibility. Those are just a few of the finer points we'll cover in more detail here, but anyone on the fence about whether to buy a PS4 or the Xbox One should give Sony's FAQ an in-depth reading. PlayStation fans already knew they could replace their console's hard drive, but now Sony has laid out a few requirements the hard drive needs to reach. First of all, the PS4 itself comes with a 500GB 5400-rpm SATA II hard drive. Sony says replacement hard drives must "comply with these standards." The replacement drive also has to offer more than 160GB storage (I knew that 161GB HDD would come in handy), and must be no thicker than 9.5mm. It's nice that the PS4 has a relatively low minimum storage size, but swapping a 500GB hard drive for a 250GB unit would be madness for several reasons. When using a disc-based game, the PS4 requires you to cache gaming data on your hard drive before playing. And the size of some of these games is huge. Sony's Killzone: Shadow Fall, for instance, will require 50GB of storage, according to Gaming Blend. More importantly, the PS4 will not support external hard drives. Investing in a 1TB drive might not be such a bad idea for prolific gamers who don't want to spend a lot of time swapping gaming data back and forth. Microsoft is hoping to make the Xbox platform--including both its 360 and One consoles--the pre-eminent living room entertainment platform. Not so with the PS4, apparently. Sony's new console won't support a few niceties such as DLNA streaming from your PC. Playback of CDs and MP3s is also out. The lack of media playback options led to some blowback on Twitter, as Engadget first reported, from disgruntled media streaming users. "Thanks for the feedback to the lack of MP3 and DLNA support at the launch of PS4," Sony Computer Entertainment chief Shuhei Yoshida said on Twitter. "I'll share with the PS4 Dev team for future consideration." As with the PS3, the PS4 will support Blu-ray and DVD movie playback, but to use the feature you'll have to go through a one-time online activation process. There will be a few PlayStation 3 accessories you'll be able to bring with you into the next generation including PlayStation Move, some USB controllers, USB headsets, and USB and Bluetooth keyboards. USB headsets won't be compatible out of the box, however. You'll have to download and install the day one update before they'll work. Like we said, there's a ton of content on the PlayStation FAQ, but here are a few other things to note. The PS4 won't be supporting 4K resolution right now, but Sony says it is thinking about adding support later. Short of a PS5 roll out, it's a pretty good bet that the PS4 will end up supporting 4K in the future as the new super resolution goes mainstream. Charge time for the new DualShock controller is two hours. A PlayStation Plus membership is required for most online multiplayer gaming. But even non-PS Plus members can use the feature on a member's console as long as the PS4 is designated as the member's primary gaming box. The PS4 will support up to 16 local accounts at one time in addition to temporary guest accounts. If you've read through the PS4 FAQ and still can't get enough PlayStation information, you should also check out Sony's recent update about what the console's day one update will include.